Home › Care-Giving › Caring enough to write. I was reminded today of how terrifying it is when you have a family member with a terminal illness, and there is a lack of information (especially accurate information) or advice to help you through the toughest patches. When my husband was first diagnosed with neuroendocrine pancreatic cancer, I was frustrated at how little was known about this lesser known cousin of the “garden variety” (as the surgeon put it) pancreatic cancer. The reason it’s not following the trend is due to research funding. It’s simply not hip enough for the fashionable and commercial market of the oncology world. 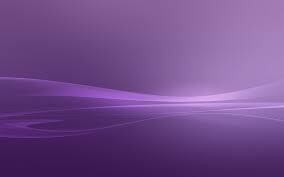 While I try hard to not resent the huge marketing ploy of the pink movement, I sure wish we’d see more purple: the color adopted by the Pancreatic Cancer movement. This is WHY I started my blog in the first place. In the hope that it may help others, I feel obligated to share my story and all I learned over the space of my husband’s illness. It’s not a huge cause. It’s just a small cornucopia of one caregiver’s story: trials and errors, things that worked, fears and joys, pain and relief, and all the myriad of emotions that make up losing anyone we love. I’m sure there are and will be plenty of posts that aren’t terribly well written. Perhaps the posts written on the days that reflect anniversaries, or birthdays, will be sadder than usual. Maybe when I see another line of funding denied to Pancreatic cancer research, my blog will be angrier. In the words of Anne Lamott, “To be a good writer, you not only have to write a great deal but you have to care. You do not have to have a complicated moral philosophy. But a writer always tries, I think, to be a part of the solution, to understand a little about life and to pass this on.” I hope, at the very least, that I pass on something useful, and that you’ll know that I care. The world of a caregiver is often a very lonely place. While you’ll helping another transform from this life to whatever lies beyond, your own transformation will continue on long after their death has occurred. And in this transformation, I firmly believe you understand more of life, and more of love. You truly learn the meaning of care. Hi. My name is Naissa, and i came across your blog after searching for “pancreatic cancer.” First of all, I am truly sorry that this is currently affecting you, and I know it is cliche to say that “I know how you feel,” but I do. My mother was diagnosed in February, and it’s been a blur ever since. I’m sure you’re terrified and feel lonely right now, but please hang in there and know that you are NOT ALONE. Naissa, I’m so sorry to hear about your mother. Sadly, my husband passed away several years ago and I’m only now being able to write/blog about it all. Please email me if you need to talk, or ask any questions. Hugs to you and your mother. I feel the same exact way about seeing more purple. Raising the awareness on this horrible cancer that does not receive enough attention. My mom was just diagnosed on May 6th…so this is only the beginning for my family. I just started my blog for the sole purpose of writing about my mom and pancreatic cancer. I’m so sorry to hear about your husband…I can’t even imagine. My mom is only 53 and the first in our family to get “sick”… I have high hopes that she will be around for a long time. But you’re spot on, my whole outlook on life has completely changed since this. I’m so sorry, Mandy. It is a hard journey, and often a very lonely one. I hope you have other family members to help support you. Hugs to you.